Situated near the beach, this villa is within 1 mi (2 km) of Pererenan Beach and Echo Beach. 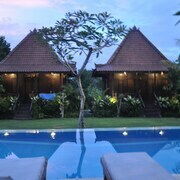 Seminyak Beach and Tanah Lot are also within 6 mi (10 km). The southern beaches of Bali are a bit livelier than many laid-back travellers might prefer. If you're one such adventurer, head just a few kilometres north of noisy Kuta to the coastal village of Canggu and its surrounding beaches, which all get lumped under its name in common parlance. This relaxed stretch of black sands and ex-pat villas provides the chill island vibe you'll go searching for in Indonesia. 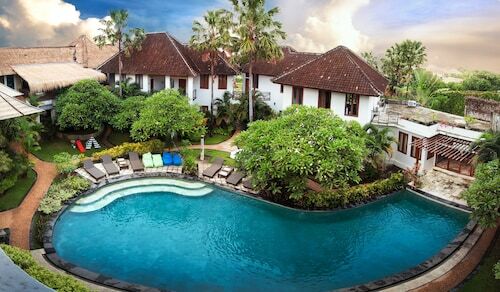 Hotels in Canggu come in a range of styles, from modest bungalows to luxurious private villas if you feel like splurging. 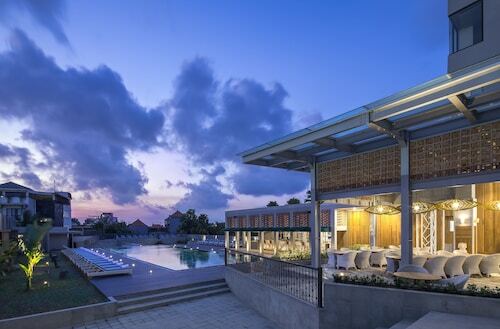 Whatever your budget, there are Bali hotels to match it. Once you're settled in at your Canggu accommodation, hit the beaches to test your surfing chops in the towering waves. If you need a refresher, take one of the lessons offered in nearby Baruna. Remember, the early bird gets the prawn! Check out Nelayan Beach in the morning to buy fresh seafood or watch the fisherman reeling in the day's catch. If you need a break from the beach, venture to the nearby rice paddies and catch an authentic glimpse of rural Balinese life. Head back to the beach in time to catch Canggu's awe-inspiring sunsets. Bring the camera—this is one social media op you don’t want to miss. 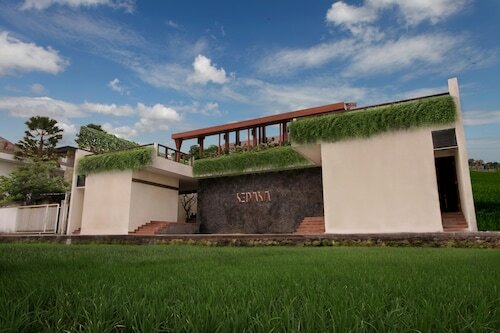 When you arrive in Canggu, you'll fly in to Ngurah Rai International Airport (DPS), also known as the Denpasar Airport. Book one of Wotif’s awesome car hire deals to take you where you need to go from there. Once in Canggu, taxis can be a bit harder to come by (that's how you know you're off the beaten path! ), so it might be wise to arrange for transportation in advance. Ready to kick off your Canggu holiday? Wotif hooks you up with the best deals on Canggu hotels so that you can spend more time practising your surfing stance. 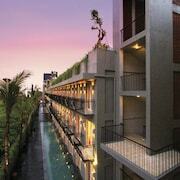 How Much is a Hotel Room in Canggu? 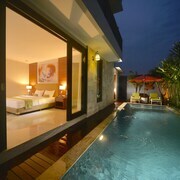 Hotels in Canggu start at AU$33 per night. Prices and availability subject to change. Additional terms may apply. The best thing about Sedesa is the staff! A close second is the very spacious rooms. I had a pool view room on the first floor and it was just like the pictures.